Practice Session No. 3 with Neil Denari: "The Same and the Different"
Practice Session No. 3 was led by Neil Denari. 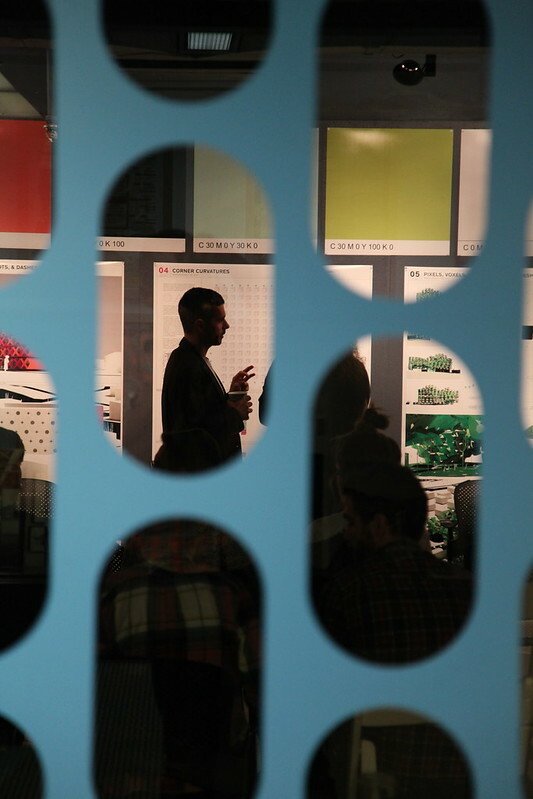 The Session, entitled “Pixels, Voxels, Sphixels, Dots and Dashes,” asked twenty students to work in pairs on the problem of the same and the different through modular designs for high-density housing. Guest critics invited to review the work at its conclusion were Dora Epstein Jones (A+D Museum), Ana Miljacki (MIT), and Associate Professor John McMorrough. Neil Denari is principal of NMDA, Neil M. Denari Architects Inc., and Professor of Architecture and Interim Chair of the AUD at UCLA. He received his BArch from the University of Houston in 1980 and an MArch from Harvard in 1982. In 2015, he was elected to The College of Fellows of AIA. He is the recipient of the Los Angeles AIA Gold Medal in 2011 and in 2010, Denari was inducted into the Interior Design Hall of Fame. In 2009, he was given the California Community Foundation Fellowship from the United States Artists organization and in 2008 he received an Architecture Award from the American Academy of Arts & Letters. His work has been included in many exhibitions, including the solo shows “Fast Forward” in 2008 at the Museum of the City of New York, “Architects’ Work: HL23” in 2009 @ Syracuse University, and “The Artless Drawing” in 2010 @ Ace Gallery Los Angeles, and in 2013, he was included in the New Sculpturalism show at MOCA Los Angeles. His work is permanently held by eight major museums around the world. With NMDA, Denari works on building projects in North America, Europe and Asia. In 2012, NMDA won first prize in the New Keelung Harbor Service Building competition. Denari lectures worldwide and has been a Visiting Professor at Harvard, Princeton, Columbia, and UC Berkeley among other schools and was the Director of SCI-Arc from 1997-2002. He is the author of Interrupted Projections (1996), Gyroscopic Horizons (1999), and the forthcoming Mass X, an 850 page multigraph.